← 7 – Kill All Humans? 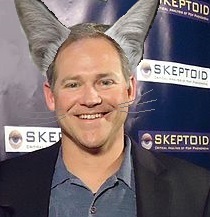 We speak with Brian Dunning, best known as the host/creator of the Skeptoid podcast. He has also created Here Be Dragons, a 40-minute introduction to critical thinking. Brian Dunning’s latest project – The Conspirators and here. We seem utterly inept at weeding out the noise. We also seem to want to believe many screwy things. I have an antipathy to pop science, which pretty much includes anything in media. My starting place is, probably not. It could be on the right track, but only by luck and coincidence. Enjoyed the interview with that brave man, Brian Dunning.